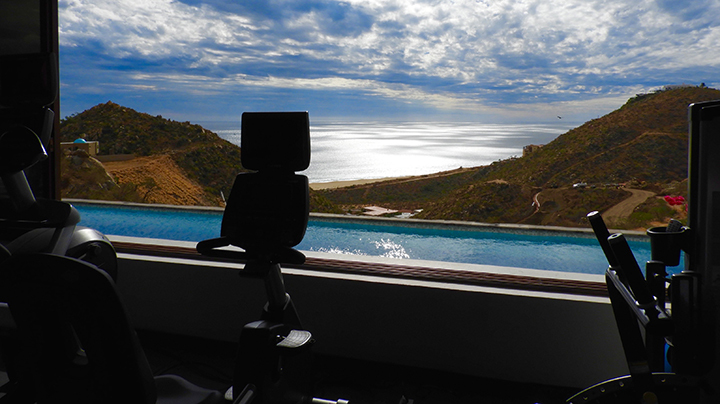 Let the sights and sounds of the Pacific serve as a majestic backdrop for your ultimate workout in paradise. Truly a workout with a view, our beautiful indoor gym comes equipped with advanced Cybex exercise equipment including treadmills, an elliptical, reclining bike and universal gym. Whether your goal is to maintain your daily exercise routine or jumpstart a new one, our full free weight area with barbells and dumb bells will help you stay toned and on track. Our gym also has a smith machine for assisted squats and chest presses, as well as training equipment such as medicine balls, a BOSU balance trainer and a Cybex 360 cable machine. 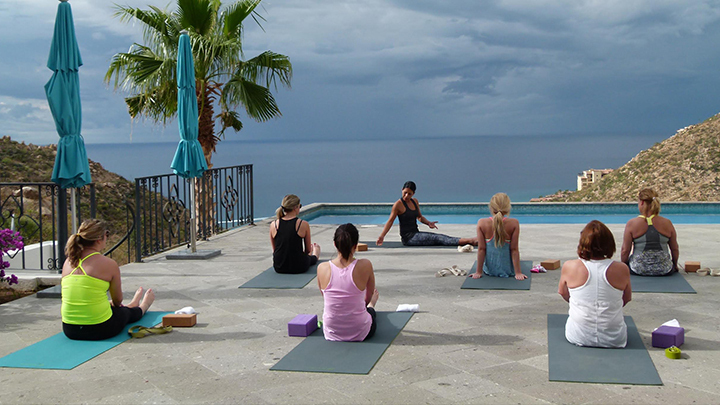 For a more customized workout experience, we provide private yoga sessions – in our class studio or in the comfort and privacy of your own villa. Immerse yourself in our full sized outdoor lap pool overlooking the Pacific. Soak in the warm Cabo sun and cool ocean breeze after your refreshing water workout in one of our comfortable poolside lounge chairs and enjoy the cascading panoramic views of the ocean. 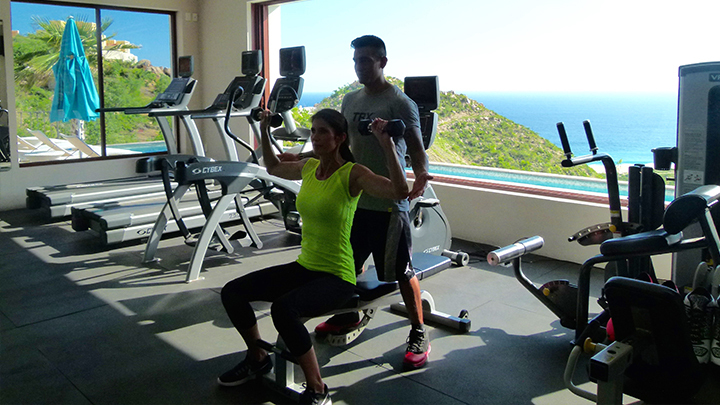 Take time for yourself to find greater balance in your life and an unforgettable escape from the everyday in our fitness center – the perfect setting for your daily workout. Day pass includes access for a day to the gym and use of lap pool and locker room facilities. Week pass includes access for a week to the gym and use of lap pool and locker room facilities. Enjoy unlimited monthly access to the gym. Includes full use of spa club facilities including the gym, lap pool and locker room. Private Yoga Sessions are available by appointment.